In January, there were significant developments for conscientious objectors in Northern Cyprus: Conscientious objector Halil Karapasaoglu, who has repeatedly declared his refusal to perform reserve service, was put on trial and sentenced to a fine - which Halil refused to pay and was imprisoned. Meanwhile, Initiative for Conscientious Objection in Cyprus mobilised hundreds of people to support Halil - both on the streets and on social media. Halil was released following his appeal. In parallel to the public discussions on Halil's case, the government of the North Cyprus, a self-declared state recognised only by Turkey, announced a draft law recognising the right to conscientious objection. The draft law, which has been widely discussed across the north of the island together with Halil's case, will be voted in parliament in February. On 3rd January, conscientious objector Halil Karapasaoglu was put on trial having refused to perform reserve service. The prosecutor accused Halil of four counts of failure to report for reserve service in the army of the North Cyprus in different years. After the trial, Ali Kismir, the President of the Press Workers Trade Union, and Serkan Soylan, the Secretary General, also announced their refusal to perform reserve service. Both conscientious objectors received the endorsement of their trade union. Halil was arrested on 15th January and sent to prison. Following his appeal to his imprisonment, he was released on 18th January. In its decision, the Court of Appeal referred to the draft law of conscientious objection which the government submitted to the parliament on 7th January and which is currently waiting to be discussed and voted in parliament. The Court of Appeal decision said the military court should take the draft law into consideration. Although the fine given to Halil was still justified, the prison sentence was found to be disproportionate and reduced to 3 days - which Halil had already served. The draft law recognising the right to conscientious objection was submitted to the parliament on 7th January. If passed, it will mean conscientious objectors will be allowed to perform alternative service in a civilian role inside the military or within a public body. The applications for alternative service will be evaluated by a special committee, called the Conscientious Objection Assessment Board, based on the applicants' religious, political and moral beliefs. The Board will be composed of seven members, including one representative from the military. The composition of the Board is specified as: the Undersecretary of the Prime Minister, the Director of Personnel Department, a representative from the Ministry of Educational Affairs, a prosecutor representing the Chief Prosecutors' Office, a representative of the military, a professor of constitutional law and a professor of sociology. The draft law was published in the official gazette on 9th January, which was then followed by a public consultation period for comments. The consultation period ended on 30th January and currently there is a scrutiny period by a parliamentary committee evaluating proposed law in the light of those comments. As a final step, the law will be taken to the parliament's plenary for voting, which is expected to happen later in February. Military service of up to 15 months is compulsory for adult male citizens in northern Cyprus. The military service is followed by compulsory annual one-day “mobilisation” trainings. The right to conscientious objection is not recognised. War Resisters' International stands in solidarity with conscientious objectors in northern Cyprus and urges the government of the northern Cyprus to recognise the right to conscientious objection immediately. It's also critical that any system of alternative service for conscientious objectors meets international standards – that is to say it has to be civilian in nature and not be punitive in its practice. 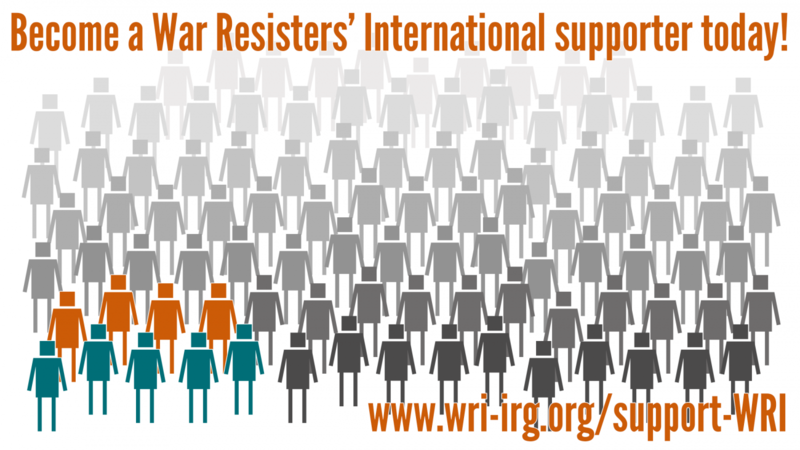 WRI continues to work closely with Initiative for Conscientious Objection in Cyprus and supports them in their attempts for peace on the island. Sources: European Bureau for Conscientious Objection, Another disappointment in the northern part of Cyprus, 4 January 2019; European Bureau for Conscientious Objection, The northern Cyprus Spring?, 9 January 2019; T-VINE, Conscientious objection in North Cyprus: draft army law sparks controversy, 11 January 2019; European Bureau for Conscientious Objection, Imprisonment of Turkish-Cypriot conscientious objector Halil Karapaşaoğlu: A blatant human rights violation, 15 January 2019; Financial Mirror, CYPRUS: Turkish Cypriot conscientious objector sent to prison, 15 January 2019; LGC News, Conscientious Objector Launches Appeal Today, 17 January 2019; In-Cyprus, Turkish Cypriot conscientious objector to be released following appeal, 18 January 2019.